Cupcakes are SO last season, cuz this year is all about the donuts! These crazy creations revolutionize this bakery staple, and are sure to make your mouth water! WE ALL SCREAM: This one aint for the faint hearted! 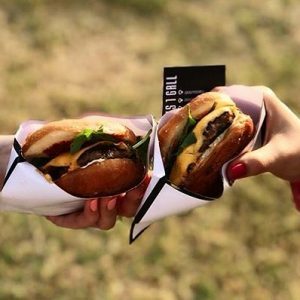 SCREAM has introduced their latest creation, which has both Lahore and Karachi on their toes. 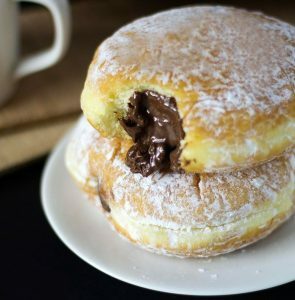 NAME A BETTER TRIO: A freshly baked donut topped with Nutella, 2 scoops of their infamous liquid nitrogen ice cream and a fudge brownie to top it all off… What more could you ask for? WHERE: Karachi. A MODERN TWIST: Market has become known for its sinfully delicious desserts, and their Mini Chinese Donuts always seem to hit the spot. LITTLE BITES OF HEAVEN: Tossed in cinnamon sugar and served with caramel and chocolate dipping sauces, end your meal the right way. WHERE: Karachi. 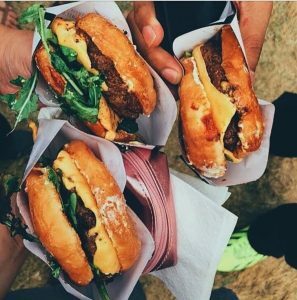 THE BEST OF BOTH WORLDS: When 2 Guys 1 Grill launched at Karachi Eat, their donut burger took the city by storm and rightfully so. GLAZE YOUR BUNS: The sweet, glazed donut buns blend perfectly with the savoury burger patty and rich feta cheese, bursting with flavour and making for a truly indulgent meal. WHERE: Karachi. 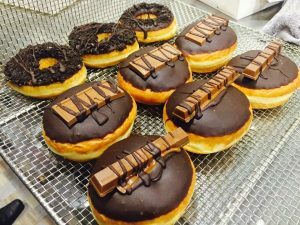 TAKE IT EASY: K-towns hot new joint, Easy by Fatsos (with mastermind Maha Jawed behind the kitchen) brings you a classic donut as a must have Summer treat. HOT & FRESH: Baked daily, these fresh and melt in your mouth treats are worth every calorie! 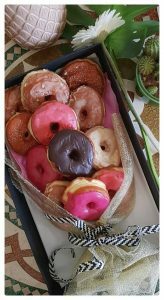 A BOUQUET OF BLISS: Flowers are a thing of the past, because EASY has introduced a brioche doughnut bouquet and that is the only kind we now accept! WHERE: Lahore. HOT TOPPED: Ditch the pre-cooked donuts – we like ’em fresh out of the oven. At Whoops, they prepare your mini donuts right in front of your eyes, loading them up with toppings galore. THE GOLDEN RING: Their sweet cinnamon donuts run rings around the store-bought versions. WHERE: Lahore. 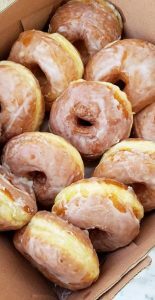 FRIED AND FROSTED: Gustoso The Donut Shop has a wide variety of flavours will get you salivating at the mere thought. 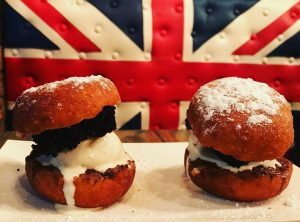 ALL ABOUT YOUR FILLINGS: If their Nutella and Kit Kat flavours don’t get you going, worry not – because they let you create your own donuts. Put your Masterchef hat on and get to cookin’! WHERE: Islamabad. CUTE AS A BUTTON: Nuts about Donuts is one place that never disappoints. 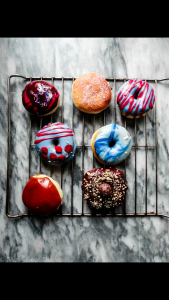 Made on orders only – these funky coloured donuts are a treat for the eyes and the tummy. 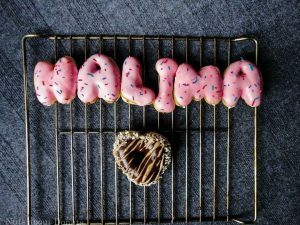 SAY IT WITH A DONUT: Looking to express your love for your special someone, ditch elaborate gestures and say it with a donut. There’s no better way to show love than with food – Joey would agree!